KUNDUZ -- Following a brutal Taliban attack on popular uprising members in Dara-e-Sof Payan District of Samangan Province, Afghan National Defence and Security Forces (ANDSF) are hitting back with air and ground operations, local officials say. The attack took place February 3 in the village of Gola, near the border with Sar-e-Pul and Balkh provinces, Mohammad Hashem Sarwari, deputy chairman of the Samangan Provincial Council, told Salaam Times. The Taliban claimed responsibility on Twitter the next day, saying that its fighters killed 19 members of the local popular uprising. "There was a security checkpoint belonging to popular uprising forces in the area, in which five individuals were present night and day, and that was where the Taliban struck first," Sarwari said. "When the Taliban stormed the security checkpoint, the local residents used their clubs and guns to expel them from the area," he said. "Consequently, the Taliban fired upon that security checkpoint." "Ten [civilians], including a woman, were killed and ten others were wounded by Taliban gunfire," said Sarwari, adding that the Taliban used night vision rifle scopes. Seven Taliban militants were killed while several others were wounded, according to Dara-e-Sof Payan District Governor Abdul Yaqin Ahmadi. "The residents of this village participated in armed resistance against the Taliban, which resulted in the Taliban leaving the village," he told Salaam Times. "The fight between Taliban and local popular uprising forces lasted more than two hours," he said. The locals killed by the Taliban were led by Burhan, a mujahideen commander during the Soviet occupation who held anti-Taliban sentiments, said Abdullah Zafari, a 36-year-old resident of Dara-e-Sof Payan District. "The popular uprising forces are very beneficial to the area's security, and the government should always support these forces," he told Salaam Times. Following the battle, the governor of Samangan called an emergency meeting and called on ANDSF to take action against the militants. "We are conducting short-term operations in different parts of the province so that we can clear out some of the areas where the Taliban are reportedly active," Sadiq Azizi, a spokesman for the governor, told Salaam Times on February 5. "The Taliban attacking civilians is a true atrocity," he said. "In the wake of this travesty, the local government will not remain idle and will take revenge soon." "The Taliban struck the village of Gola, where neither security forces nor local police forces existed," he said. "As a result, the villagers defended their own village." The Taliban attack was a reprisal for Dara-e-Sof Payan District residents' resistance to the militants' demands for payment of ushr during the harvest season. "One day the Taliban told all families that they had to pay ushr for their lands," said Arbab Nazar, 48, who cultivates almost five acres of land in Gola village. "Once they refused to do so, however, the Taliban slaughtered civilians the same night." "I am a poor man. I just harvest my rice and sell it in the market so that I can feed my family during the winter," he told Salaam Times. "The Taliban, however, take my money under the pretext of ushr." In addition to collecting ushr, the Taliban exploit legitimate coal mines in the province to fund their fight against the Afghan government and people, said Sarwari, the deputy chairman of the provincial council. The Taliban are carrying out an economic war in Samangan, he said. "The Taliban collect 7,000 AFN ($92) in tax from every vehicle leaving the coal mines," he said. 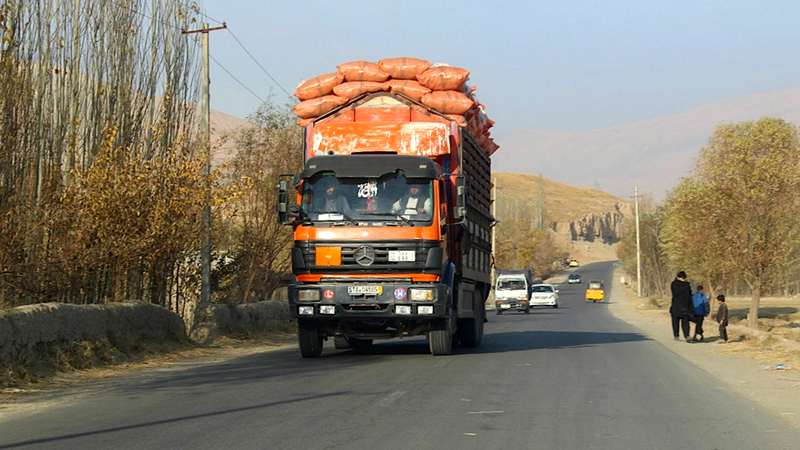 "The Taliban always force the coal truck drivers to pay them." "More than 50 coal trucks and their drivers were seized in December, and the Taliban did not release them until each driver paid 21,000 AFN ($278)," he said. The Taliban's actions, including its murder of civilians, have raised questions over their intentions as they participate in peace talks. Afghans throughout the country have already declared that the Moscow meeting February 5-6 between Afghan opposition politicians and Taliban representatives did not benefit Afghanistan. Meanwhile, US Special Representative for Afghanistan Reconciliation Zalmay Khalilzad is spearheading efforts to broker peace between the Afghan government and the Taliban in a series of talks in Doha, Qatar. He is also leading a delegation to Belgium, Germany, Turkey, Qatar, Afghanistan and Pakistan February 10-28 with the goal of bringing "all Afghan parties together in an intra-Afghan dialogue". Those efforts have the full support and co-operation of the Afghan government. "On the one hand, the Taliban make peace in the UAE and Russia, while on the other, they continue to carry out terrorism in various parts of the country," said Mohammad Umar Faqiri, a 29-year-old resident of Aibak, the provincial capital of Samangan.